1 Night �72.00 per room Bed and Breakfast. All bedrooms are equiped with tea and coffee making facilites also colour T,V's with free view boxes. The Twin and double en suite rooms look out over the Tidal Palnure Burn and the Cree Estuary in the distance. Muirfad is close to Kirroughtree visitor and Mountain bike centre in the Galloway Forest Park and the renowned dark skies for star gazers, and stands at the foot of Cairnsmore of Fleet . There are a number of good restaurants in Newton Stewart which is about 3 miles away. For the walker Muirfad is a good base to start from and touring the area. 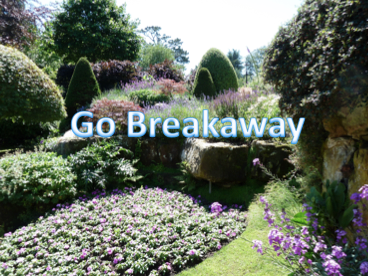 Go Breakaway, the UK�s fastest growing weekend service provider helps you find places to visit and the best places to stay including self catering holiday cottage, bed and breakfast, guest houses and hotels. Copyright © 2019 Go Breakaway. All Rights Reserved.